Discussion in 'General Hardware' started by Dan, Oct 12, 2018. Im rocking a i5-4670k @ 4.6 right now and im getting an upgrade itch. 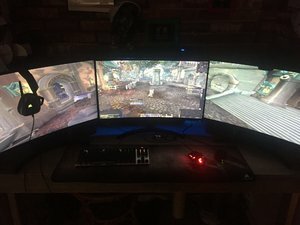 I have a 3x 27" 5760x1080 144hz setup right now with a EVGA 1080ti ftw3. Im trying to ball on a budget cause we are currently saving for a house. think I would see a noticable gain in games like WoW, COD:BO4, destiny 2? If I wont see 10+ fps Ill just leave the 4670k in there. Im out of touch with how much CPUS make a difference. I think you would see a noticable fps increase in WoW with an 8700k @ 5 Ghz.